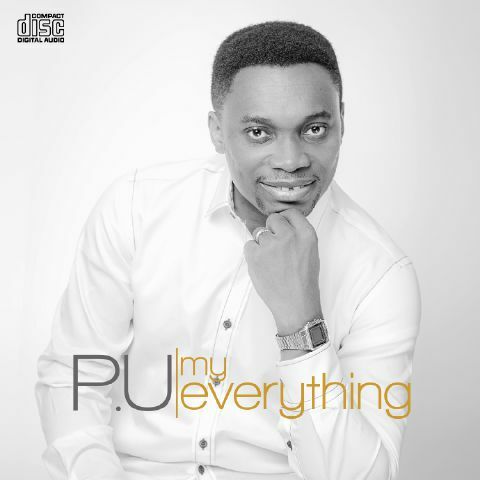 Get ready to update your music libary as Gospel Music Sensation P.U releases his much anticipated new album “MY EVERYTHING” scheduled to be released on 30th of October 2015. P.U is well known for his Simple but Catchy melodies seasoned with highly spirited lyrics . His music also carries inspirational and motivational messages that appeals to people of all ages both the old and young. P.U, the current host of love world expressions has been working tirelessly with some of Nigeria’s best gospel music Producers Like the hit maker kelly lyon who is behind several hit songs by gospel music songstress ADA and also A4 who produced several hit songs for worship leader SINACH. After several months of sleepless nights in the studio the album is finally ready and fit for release . The album contains hit songs done at the IMC in 2014 and 2015 like Blessed hands ft Ada & Jesus the lamb ft Sophiya it also contains Remix of all time hit song Greater heights this time done with his daughter JADA other trending songs like Most high and Beautiful day are included in the album.